• What is the history of the concept itself? • What is the first question you should ask in formulating a worldview? • How are worldviews formed existentially as well as intellectually? • Is a worldview primarily an intellectual system, a way of life or a story? • What are the public and private dimensions of a worldview? 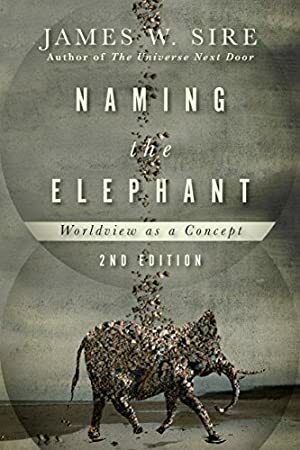 • What role can worldview thinking play in assessing your own worldview and those of others, especially in light of the pluralism in today's world? We started tracking this book on December 13, 2014. The price of this book has changed 38 times in the past 1,587 days. The current price of this book is $13.19 last checked 16 hours ago. The lowest price to date was $7.83 last reached on December 11, 2017. This book has been $7.83 one time since we started tracking it. The highest price to date was $13.59 last reached on January 22, 2015. This book has been $13.59 one time since we started tracking it. We last verified the price of this book about 16 hours ago. At that time, the price was $13.19. This price is subject to change. The price displayed on the Amazon.com website at the time of purchase is the price you will pay for this book. Please confirm the price before making any purchases.